Working with us means your case will receive personal attention from a team of esteemed trial lawyers who understand your needs. Whether you have been injured, arrested, or are facing an immigration matter, we will fight for the results you deserve. Your choice in representation matters. Ross & Pines has the experience needed to command a courtroom & protect your rights. The attorneys at Ross & Pines are an elite team of advocates, dedicated to achieving the best interests of our clients in every case we handle. Whether clients face debilitating injuries, complications related to immigration, or criminal charges, our firm can capably handle your case. In fact, our team shares more than 100 years of legal experience and puts every ounce of knowledge and skill to work for your case. At Ross & Pines, LLC, the commitment we share to uphold a high level of legal representation, excellence, and ethics greatly impacts the results of our clients’ cases. Over the years, we have established a reputation for reliability and a track record of success—especially in the courtroom. With proven skills in case investigation, case preparation and most importantly, case representation in trial, our team won’t stop until we have the results that our clients deserve. Our firm has established itself to be relentless in our pursuit of justice on behalf of our clients. Big Firm Results Why Hire Us? Although we are able to take on large cases and achieve big results, our firm maintains a personal feel. Each client can expect his or her case to be handled by one of our highly-rated immigration attorneys in Atlanta. We take time to understand your individual situation and to build a case that is perfectly crafted to meet your needs. Our ultimate goal in each and every case we handle is to help our clients overcome their present circumstances and look forward to a brighter future. While we cannot promise a specific result, we can promise that each client will receive the highest quality of legal representation. By conducting thorough investigations and meticulously preparing each case, Ross & Pines will fight for the best available outcomes on behalf of our clients. If you have suffered a personal injury, have an immigration matter or are facing criminal charges, let our team guide you through this time. Ross & Pines, LLC 888.838.4858 Everything is going perfect because you are really really excellent lawyer. 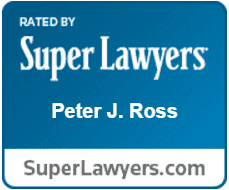 Ross & Pines, LLC 888.838.4858 Peter is an excellent attorney and I've already recommended Ross and Pines to a few friends. Ross & Pines, LLC 888.838.4858 Seek him, and then look nowhere else. It is at this point you have found your attorney. Ross & Pines, LLC 888.838.4858 Today, I am a educator, coach and mentor because Mr. Noah worked to keep me clear of felonies. Ross & Pines, LLC 888.838.4858 Attorney Pines is the man you want representing you. You will always meet with the attorney who is working on your case. You will be treated individually and with the utmost confidence and respect. Your case will be prepared thoroughly with a focus on achieving your goals. Your case will be meticulously investigated to uncover critical evidence. Your voice will be championed by our team of devoted advocates. Consultations are confidential and personal injury cases are handled on a contingency fee basis. This means you don't have to worry about upfront legal fees. Fill out our online form or call (404) 812-4300.